psyllium seeds, organic psyllium seeds, Flea, lspaghua, Spogel, Plantago Psyllium, Isaphgol, Plantago sp., Isabgula, Organic Psyllium, Bio Psyllium, Psyllium husk, Psyllium powder, sidhpur psyllium, organic psyllium husk, organic psyllium powder, organic psyllium flakes, Bio lspaghua, Organic Plantago sp., psyllium seeds india, psyllium seeds rapid overseas. Psyllium seeds is an agri-farm product of dried ripe seeds of plantago ovata forks (farm. Plantaginancae) and it has been cleaned free for all dust, wastes, mud, stones and iron particles. In India , they are known as Isaphgula. The seed itself is made up of 40% Linoleic Acid (LA), an important fatty acid essential to health. 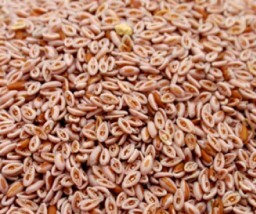 Seed has property of mucilage formation on extraction of moisture. Psyllium seeds are cooling, laxative, soothing, antiacidic, anti diuretic and demulcent. PACKAGING: 25 KGS, 50 KGS, 25 LBS, 50 LBS & 1 MT BIG BAGS. 1) In pharmaceutical industry, psyllium is used as thickening agent during capsule formulation. 2) Psyllium can be used in food and beverages industry, in health drinks, beverages, ice cream, bread, biscuits, other bakery products, rice, cakes, jams, instant noodles, breakfast cereals etc., to improve the fiber content of the food. 3) In food and beverage industry psyllium is use to Improves softness and body texture, to provide strength as binder and stabilizer. 4) Psyllium is used in breakfast cereals. 5) Psyllum is being used as a thickener in ice cream and frozen desserts. 6) Psyllium Husk may also be added to fresh fruit drinks or flavored drinks to improve the mouth-feel of the drink and make it richer and impart good consistency to it.